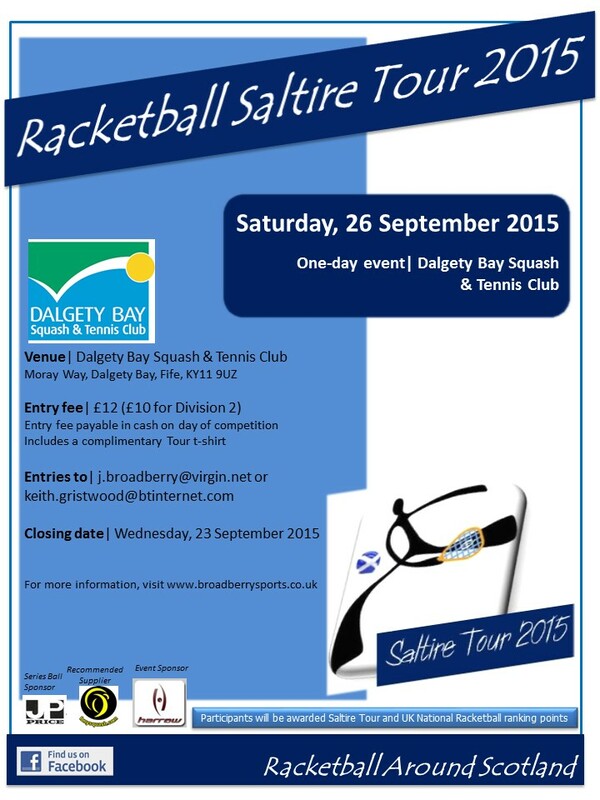 RASTA Racketball Results for Match Day 5 at Dalgety Bay 26th Sept.
Nick Matthew beat Karim Abdel Gawad in the semi-final of the 2015 AJ Bell British Grand Prix. The World No.2 progresses to his third consecutive final at the British Grand Prix, where this year he will face World No.1 Mohamed Elshorbagy. Top seed Mohamed Elshorbagy won 3-2 against Gregory Gaultier in the 2nd semi-final as the crowd were treated to an impressive display of athleticism from both players, which went in Elshorbagy’s favour as the 24-year-old finished won in the 5th game 7-11, 11-9, 11-7, 6-11, 11-8. The Harrow sponsored player has won 3 major titles major titles already this year (the New York Tournament of Champions, the Windy City Open and her home tournament the Alexandria Open) which have all helped her become the first player since 2006 to overtake Nicol at the top of the World Rankings.